A well-known actress triggered heated discussion and criticism last week by citing the Bible to express her disapproval of homosexuality on her micro blog. Lu Liping, 51, is a Christian. Since last Wednesday she has updated several micro blogs in which she called homosexuality a crime loathed by God. In one micro blog she cited Romans 1:26-27: "Because of this, God gave them over to shameful lusts. Even their women exchanged natural sexual relations for unnatural ones. In the same way the men also abandoned natural relations with women and were inflamed with lust for one another. Men committed shameful acts with other men, and received in themselves the due penalty for their error." Lu wrote that this was "very powerful and convincing". In another entry, she reprinted a priest's micro blog commenting on the legalization of gay marriage in New York. The priest wrote: "So far New York is the sixth and also the largest state in the US to legalize gay marriage. God, please forgive this ever-degenerating place! Even if anti-homosexuality becomes illegal some day, I will keep preaching: homosexuality is a crime. God loves people; hates crimes! Believe in Jesus and conquer the crime!" Lu commented: "Brothers and sisters, let everybody see this!" She also gave an example of how a gay man came to understand his crime and finally corrected himself by asking Jesus for help. Her words have shocked people and attracted wide criticism. Compared to her other micro blogs, each of which gets a few hundred comments, each of those about homosexuality has attracted more than 10,000 comments. Although some people supported her, many expressed their anger at her intolerance, especially because she is a public figure whose attitude has greater influence than those of ordinary people. "How could anybody be so cruel," said Xiaoguo (alias), a 26-year-old lesbian. "Does God not also teach them to love? Does she even know any gay or lesbian people?" 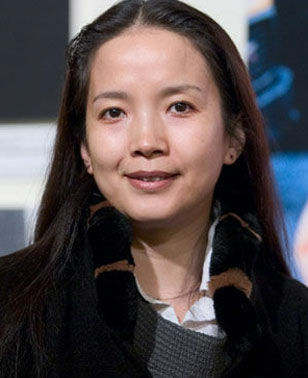 Li Yinhe, a sociologist and an activist for lesbian, gay, bisexual and transgender rights, said Lu's opinions were "cliched, ignorant and backward". "Not all Christians are against homosexuality," Li said on her micro blog. "Lu should consider her own status. She's a public figure, and it is unforgivable for her to express such biased opinions." However, while disagreeing with Lu's anti-homosexuality, some experts believe people have the right to express their opinions, whether they are celebrities or not. "In my opinion, nobody has the right to call gay people criminals and ask them to be 'corrected'," said Gu Baochang, a professor of sociology at Renmin University of China. "But Lu has her own opinion, and she should have the freedom to express it. You may agree or disagree with her, but you cannot stop her from expressing herself." Xiaoguo says this incident might actually turn out to be positive if it raises Chinese people's awareness of homosexual rights, of which, in her opinion, most people are unaware. Lu became a famous actress in the late 1980s, and last year won the best leading actress at the Golden Horse Awards, the most prominent annual film festival in Taiwan. NATO strike on civilian sites again? Pakistan suicide raid, revenge for bin Laden?